The index opened positive at 7897 and stayed strong for the entire session of trade but profit booking towards the end saw Nifty close just below 7900 at 7890.75, gain of 30.00 points. The broader market was flat with 774 advances to 773 declines. Range for the series is at 7700-8000. 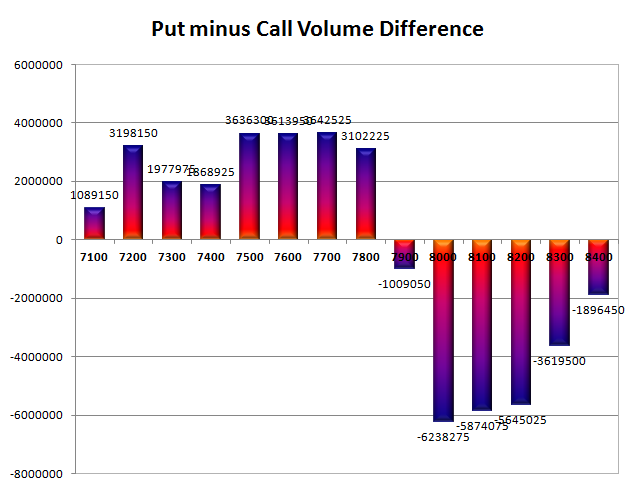 Call option did not add any OI with short covering at 7900 and below strike prices. Put option 8100-7800 added huge 25.59 lacs OI with profit booking at 7700 and below strike prices. 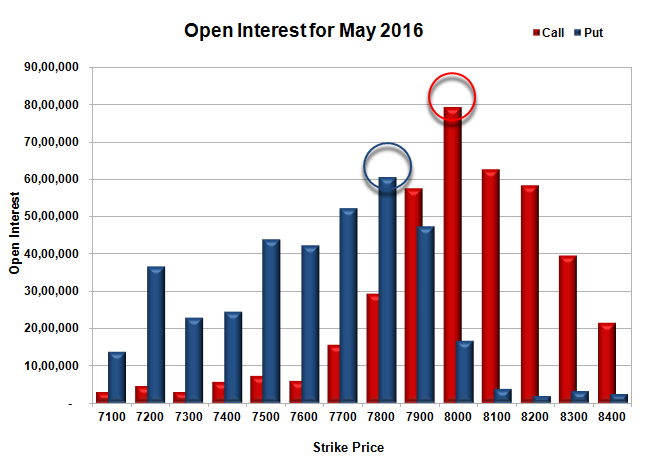 Nifty Open Interest is at 1,66,04,025 up by 4,05,150, with increase in price, probably long build-up. Bank Nifty Open Interest is at 17,12,880 up by 44,730, with increase in price, probably long build-up. FII’s bought 5149 contracts of Index Futures, which includes net 12472 contracts long build-up and 7323 contracts short build-up, with increase in net OI by 19795 contracts, includes 35590 longs to 30441 shorts for the day. FII’s Index future open contract as on date is 144973 Longs to 104320 Shorts, Net 40653 up by 5149 contracts. 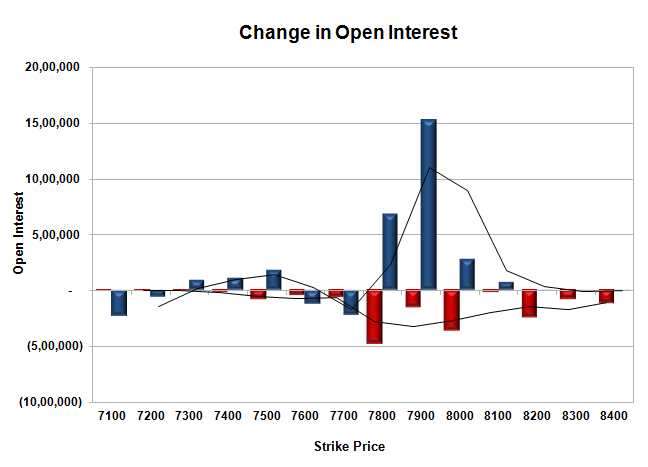 Initial and best support at 7800, with OI of 60.48 lacs and below that at 7700 with OI of 52.12 lacs. 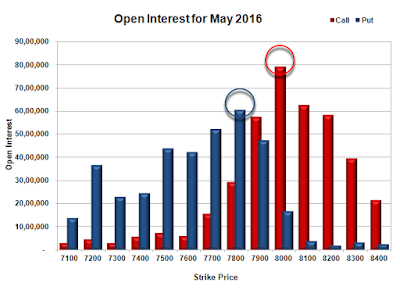 Initial resistance at 7900, with OI of 57.52 lacs and above that at 8000 with highest OI of 79.23 lacs. Day Range as per Option Table is 7831 - 7969 and as per VIX is 7823 - 7958 with 7904 as the Pivot.